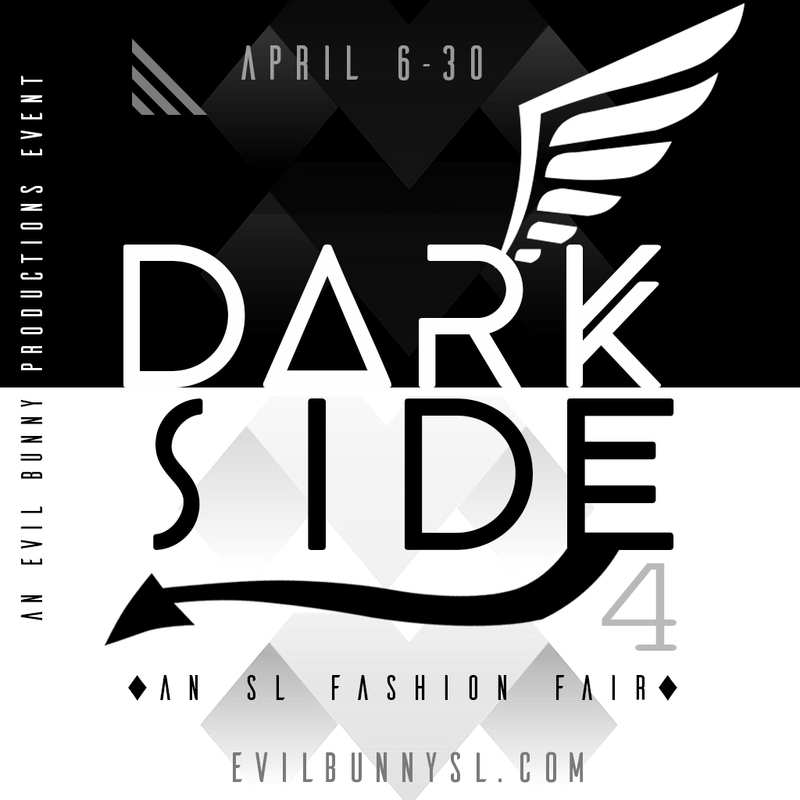 DARK SIDE 4 is HERE! Over 65 designers bring you GOOD VS. 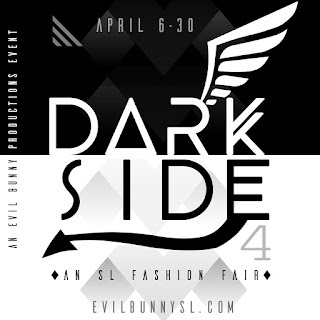 EVIL exclusives in this high fashion event! 10L specials from EVERY designers, gachas & more! 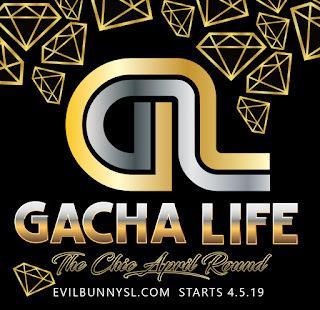 DON'T MISS The Gacha Life CHIC Round next door & The Evil Bunny Hunt 9 which starts @ Grumble! 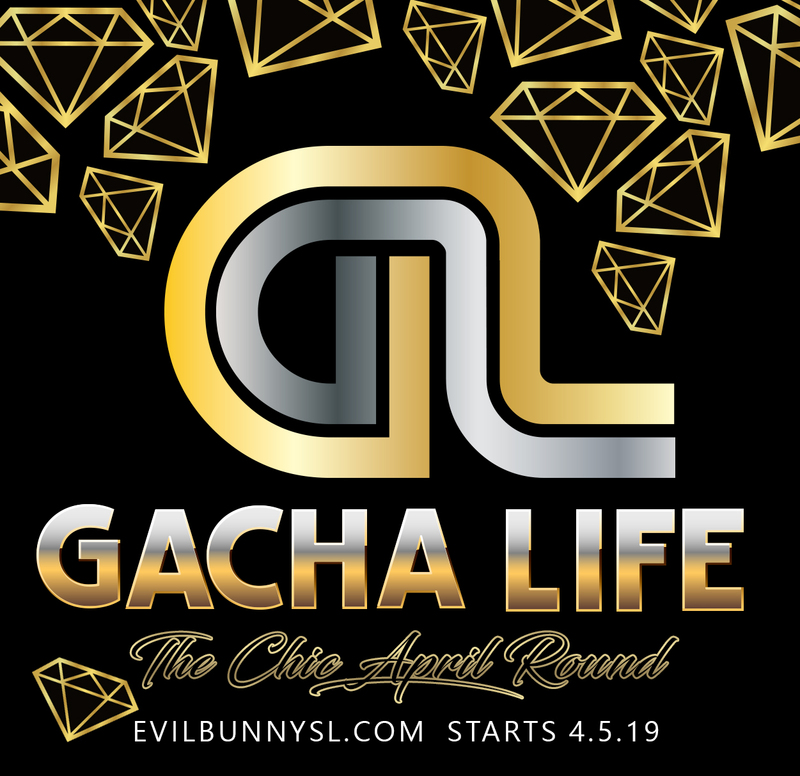 The GACHA LIFE April Round is here with CHIC! Free group gifts! The GACHA LIFE is back and it's all about the CHIC! FREE GROUP GIFTS! Come get your chic on at the Gacha Life! 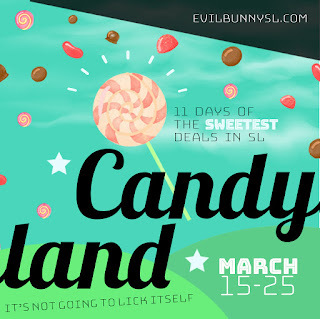 The Evil Bunny is BACK for the 9th year! Damn that Evil Bunny! BUNNY RETURNS @ MIDNIGHT! The evil bunny is back for the 9th year and has been very busy spreading chaos, stealing eggs and being, well, evil. Follow his devious trail of nice and evil eggs but beware of that carrot, is it ink or blood, we don't know as he's very tricky and quick. That fluffy tail isn't as cute as you might think. THE EVIL BUNNY HUNT consists of evil and nice eggs, designers choosing which theme they prefer. You are looking for an angelic halo nice egg or an evil devil horned egg or at some stops both! Check the hunt blog to see which egg you are hunting for. Watch your back~you never know when the evil bunny might sneak up on you. 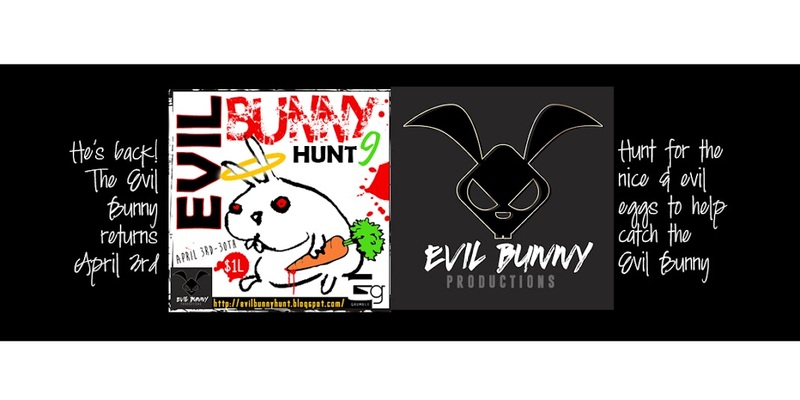 Start out @ Grumble and touch the hunt poster sign to facilitate in catching that evil bunny! Posters will give you an info note card and a pop up to send you to the hints page. 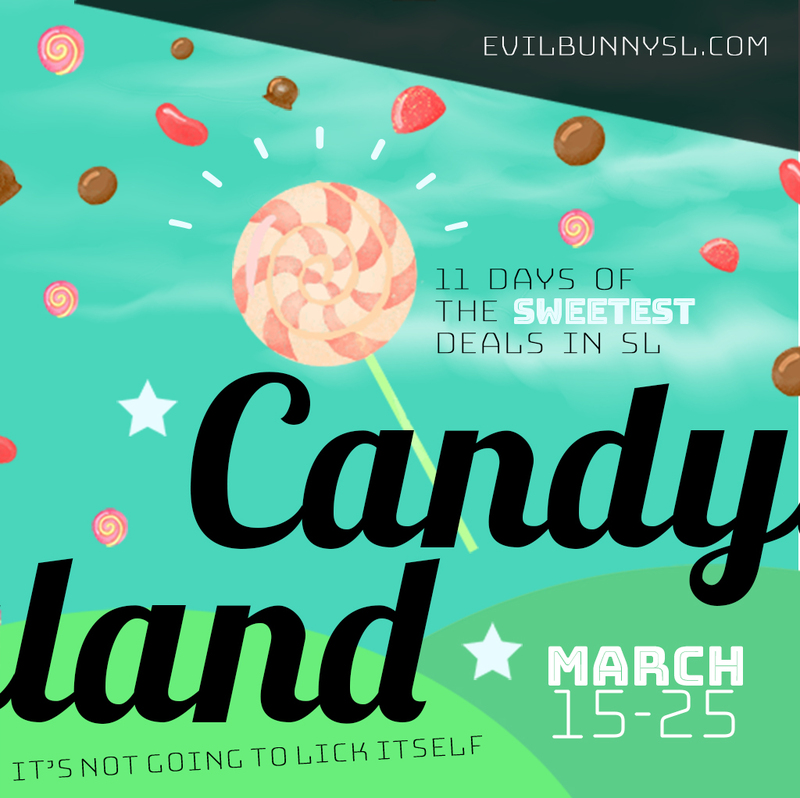 CANDYLAND IS HERE! Free gifts from over 60 designers! only at the event AND a FREE GROUP GIFT from every designer! Join the Evil Bunny Hunts group for your freebies-just wear your tag and touch! 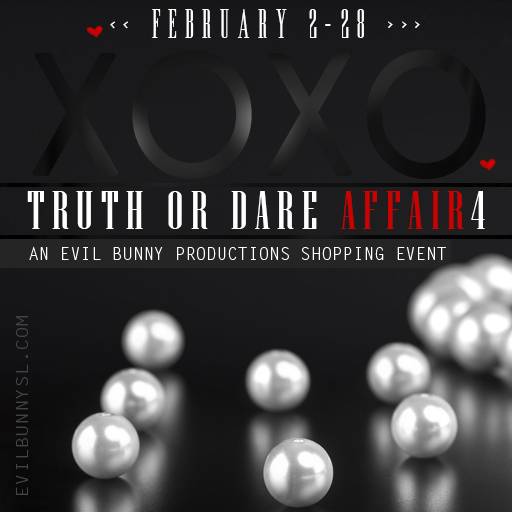 The TRUTH OR DARE AFFAIR is back for the 4th year? Why aren't you here yet? 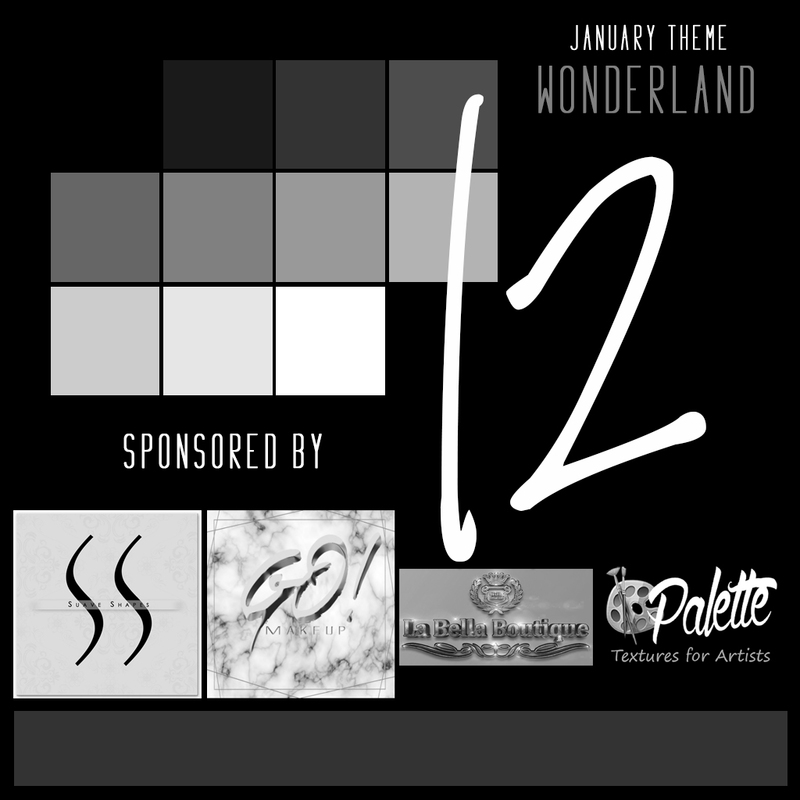 TWE12VE Wonderland round is here! Come explore! ARE YOU ON THE LIST? IT'S THE NAUGHTY LIST 3 & IT'S OPEN NOW! Have you been naughty or nice all year? We'll have EVERYTHING you need for the holidays and just remember, you can't fool Santa, he KNOWS if you've been naughty or nice! It's our RED LIGHT DISTRICT for the holidays filled with over 70 designers and TONS of gachas! 10L specials at every store. Start your holiday season off on a different note, at the Naughty List 3! 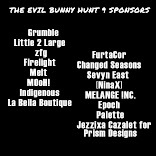 Be sure to visit our FREE GIFT tree- wear your evil bunny hunts tag for free presents from our talented designers!